A sturdy aluminum probe with a focus on assembly speed. Mammut recognized that time is of the essence when probing, and the last thing you need is to waste time assembling your probe. The Fast Lock system is easy and secure, matching well with the stable aluminum segments. The tensioning cord is durable and the system can be used with gloves or mittens. 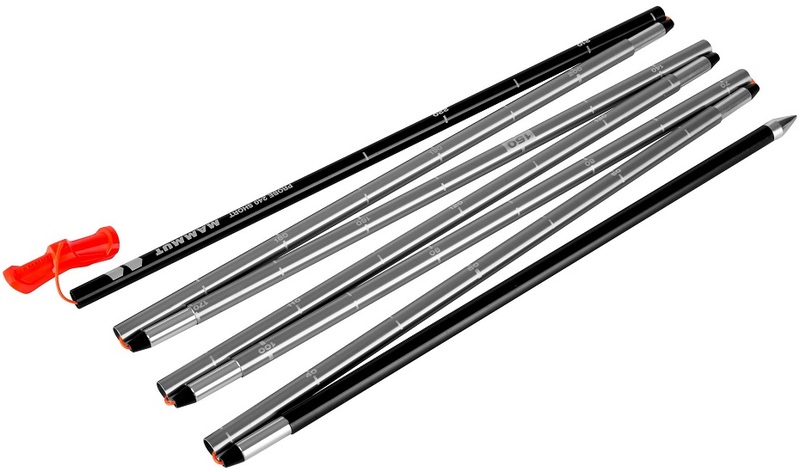 The Mammut Fast Lock probe is a good probe for ski touring and mountaineering. Fast Lock is a quick, individually locking tensioning system. Strong, lightweight segments are made with durable aluminum. Scale marking on the side of the probe to measure victim depth. Drop-shaped tip helps with penetration in solid avalanche debris. Tensioning cord has high tensile strength to maximize stability. Carrying case has some helpful emergency information.